​The Division 2 update 1.03 went live Tuesday for PC, PlayStation 4, and Xbox One. Ubisoft revealed the patch notes through the game's official forum. Here's everything you need to know. Read up on preload and availability timings for The Division 2 launch! 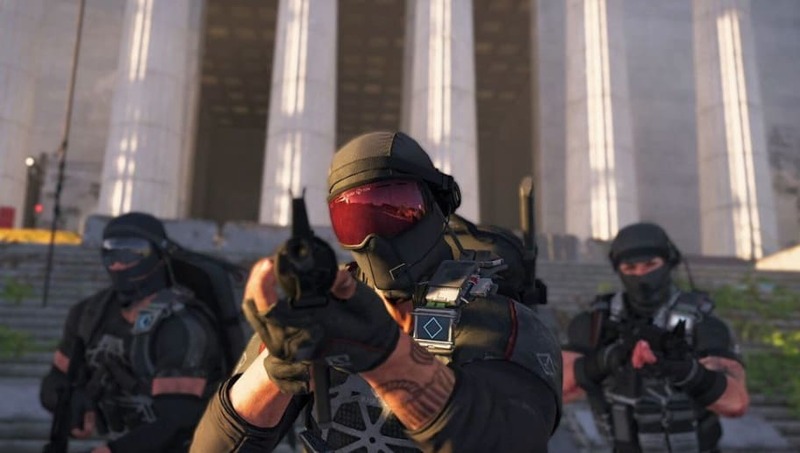 The newest update for The Division 2 went live Tuesday and a number of bugs were fixed, according to Ubisoft's patch notes. Players will no longer get stuck on a black screen after cutscenes, and an exploit involving killing bosses repeatedly for loot in Invaded missions was solved. The ropes at the end of the Beekeeper Jeff side mission will deploy properly for extraction, too. Another bug involving being able to unlock Castle prematurely, which would block progression in some cases, was also removed. A weapon that was a work in progress was removed from the game, as it was not finished and was not balanced. ​"Exotic weapons equipped with silencers will now produce the sound they’re intended to make," the post read. "NPCs engaged in combat will now react to grenades as intended." A fix for crossbows not dealing explosive damage to multiple targets was patched, too. There were also PC-specific fixes. ​The Division 2 officially launches March 15.